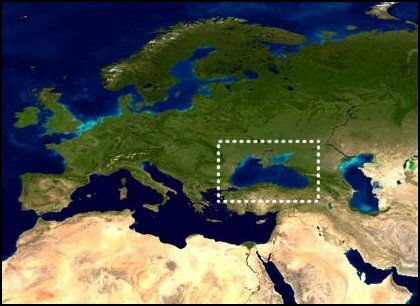 The Black Sea is a large, inland sea between Europe and Asia that is bordered by 6 nations: Bulgaria, Romania, Ukraine, Russia, Georgia, and Turkey. 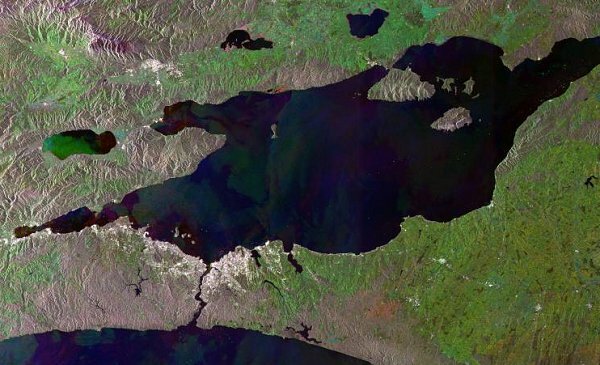 It has an area of about 178,000 square miles, and is about 720 miles long by 330 miles wide. 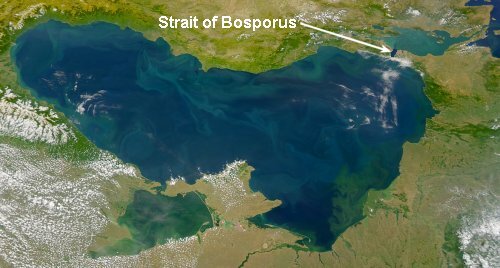 Above it is the Sea of Azov, and below it is the Sea of Marmara through which the Black Sea empties into the Mediterranean via the Strait of Bosporus. 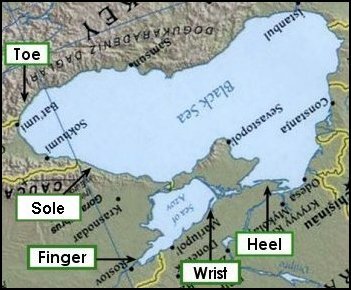 The Black Sea is an enormous boot! 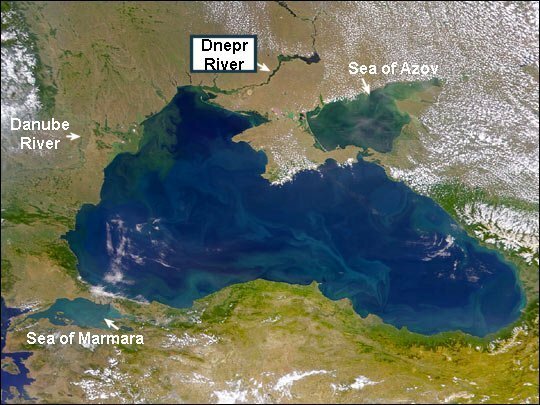 And the Sea of Azov is a hand! 21 And Isaac entreated the LORD for his wife, because she was barren: and the LORD was entreated of him, and Rebekah his wife conceived. 22 And the children struggled together within her; and she said, "If it be so, why am I thus?" And she went to inquire of the LORD. 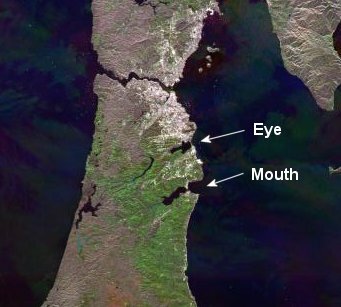 23 And the LORD said unto her, "Two nations are in thy womb, and two manner of people shall be separated from thy bowels; and the one people shall be stronger than the other people; and the elder shall serve the younger." 24 And when her days to be delivered were fulfilled, behold, there were twins in her womb. 25 And the first came out red, all over like an hairy garment; and they called his name Esau. 26 And after that came his brother out, and his hand took hold on Esau's heel; and his name was called Jacob: and Isaac was threescore years old when she bare them. Jacob is the father of the house of Israel, and I believe most of them live in Europe and North America, while most of Esau's descendants live in Russia and surrounding areas. And here we have bodies of water that lie right in between them, and help to tell their story. 7 And I answered and said, "What will mark the parting of the times? Or when will the end of the first or the beginning of the second be?" 8 And he said to me, "From Abraham to Abraham, for from him sprang Jacob and Esau, but Jacob's hand held Esau's heel from the beginning. 9 For Esau is the end of this age, and Jacob is the beginning of the one that follows. 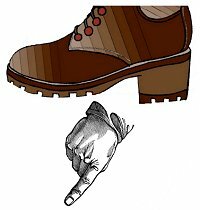 10 For the beginning of a man is his hand, and the end of a man is his heel. Between the heel and the hand look for nothing else, Ezra!" It's an evil spirit, and thus an evil soul! 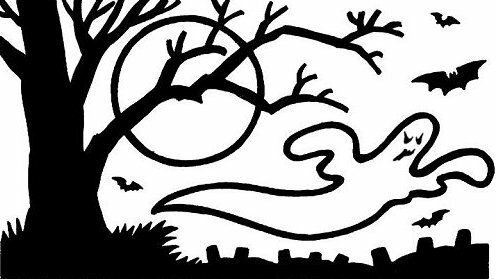 I believe this is another way in which our Father helps us understand evil spirits. This one is moving to the left, and his right arm is rather withered. Evil spirits are just evil people without a body. But if you had to represent them with a visual aid, this does it perfectly, like a ghost, or a genie coming out of a bottle. 13 And thorns shall come up in her palaces, nettles and brambles in the fortresses thereof: and it shall be an habitation of dragons, and a court for owls. 14 The wild beasts of the desert shall also meet with the wild beasts of the island, and the satyr shall cry to his fellow; the screech owl also shall rest there, and find for herself a place of rest. A satyr is an evil spirit. The same word occurs in 13:21 where the Companion Bible has the following side note: "satyrs = goat-shaped demons worshipped by the Seirites (Edom)..."
I think this evil looking face represents death, and he is shown as if in the act of consuming this evil spirit. They have one foot in the grave; one foot in the lake of fire. They are an example of what will happen to Esau's descendants and anyone else if they choose not to worship Jesus Christ, and instead choose to worship Satan.